DIY Halloween costumes for the Whole Family - The Kennedy Adventures! 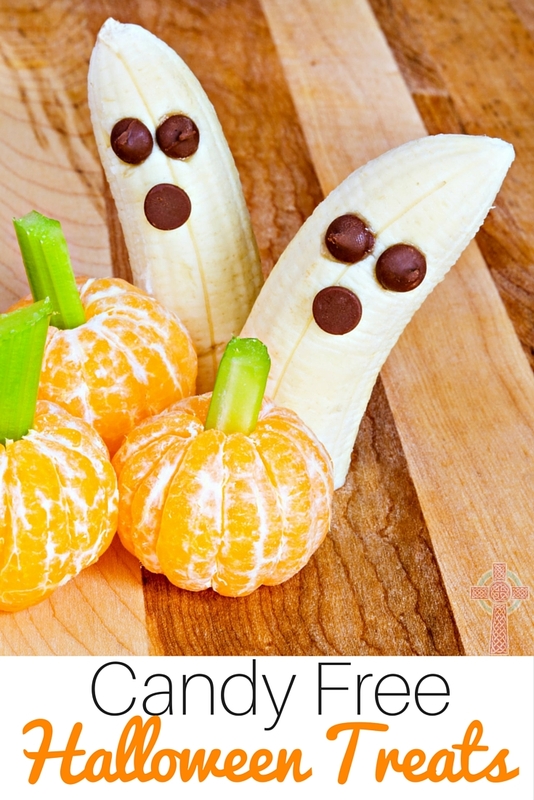 Are you stumped for ideas for a DIY Halloween costume for your child? I’ve found so many cute costume ideas, I’ve lost count. You’re sure to find an idea here for your little ones. 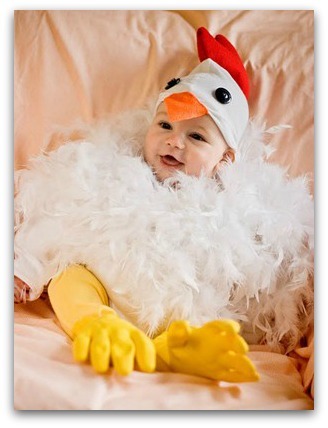 Jessica made a sweet little chicken costume for her baby’s first Halloween. Can you guess how she made the chicken feet? 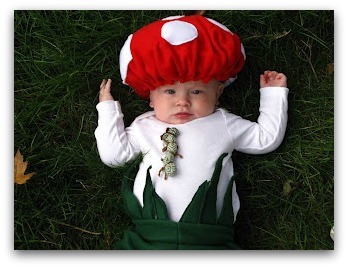 If I were able to sew, I’d love to do a Mario Brothers Theme – the boys as Mario and Luigi, Rachel as Princess Peach, and sweet little Maeve would be a scrumptious little mushroom. 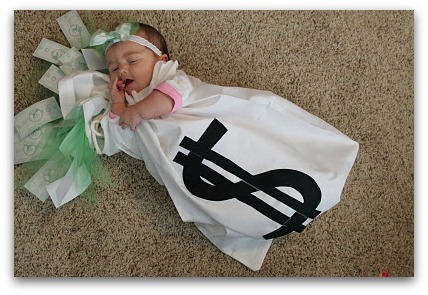 Kudos to Jessica for this adorable baby costume! Rachel’s name means little lamb or ewe in Hebrew. 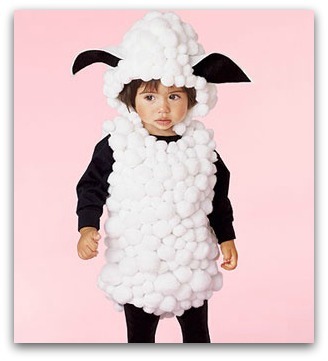 She’d look adorable in this lamb costume from Parents.com. 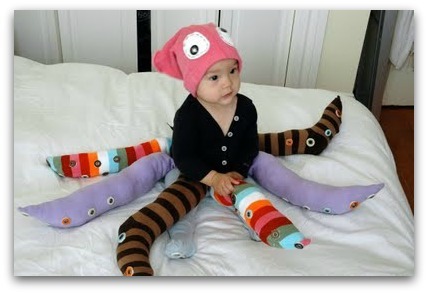 I think this might be my very favorite costume for a baby – I know little chubby Maeve would make a outstanding octopus! Don’t miss the DIY steps at Mom, IncDaily. Ashley is a crafting superstar. 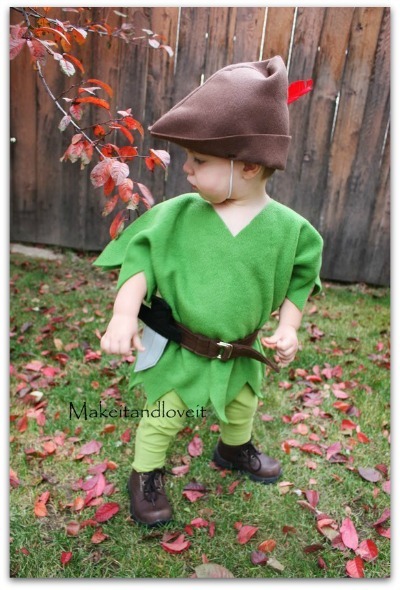 Head over and see the amazing tutorials for Peter Pan and Tinkerbell. I LOVE these! 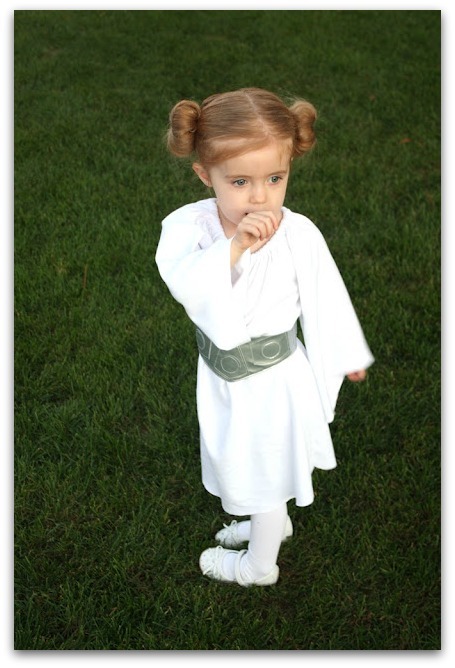 Even a non-sewing mom like me could pull off this costume. 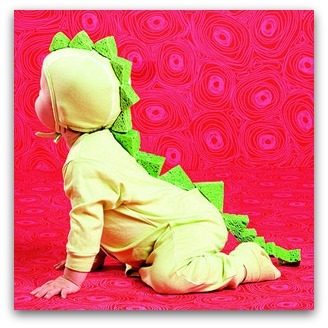 Pink or purple would be perfect for a little girl dinosaur! Kids Stuff World has all the information you need to make this Cute-a-saurus. I’m asking my grandmother to sew some dinosaur/dragon tails for my boys for Christmas presents. You could easily add matching sweatpants and a hat to make this a complete dinosaur costume. There’s just something precious about these little garden gnomes. 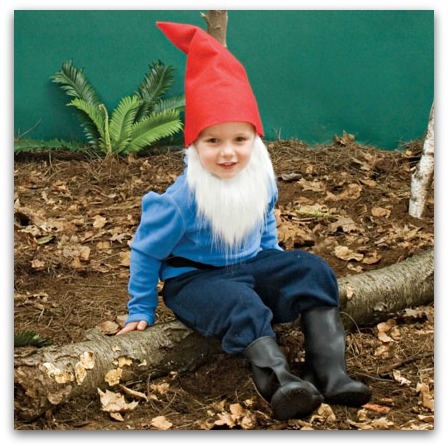 You could even make a whole garden gnome family! Check out Family Fun for instructions. Got a husband handy with a soldering iron? 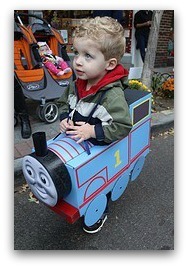 You could make a Thomas the Train costume that whistles for candy! How fun! I love the colors in this proud peacock costume. How sweet is this? 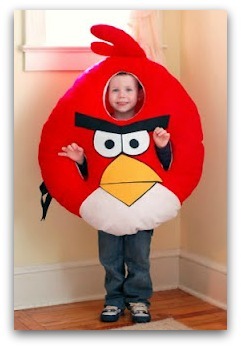 Christy has a knack for creative costumes for kids as well as grownups. Got a little stinker at home? 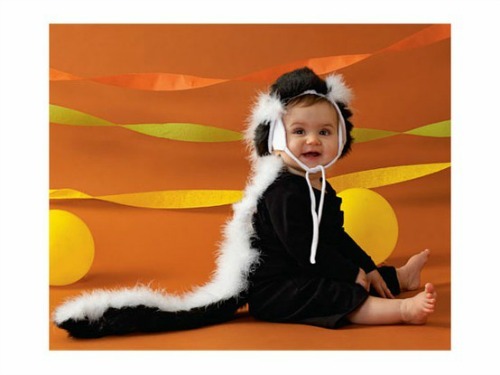 Dress them up as a skunk! Check out the step by step tutorial at Reader’s Digest. 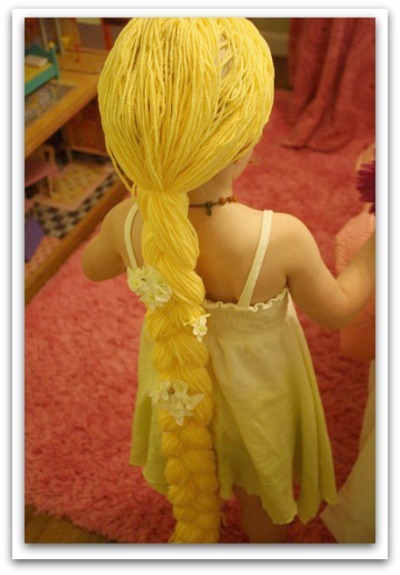 Any girl who is a fan of the movie Tangled would flip over this massive mop of hair! Wouldn’t this be a perfect addition to a princess dress or during dress up time? Visit the Weekend Homemaker for the how-to. Does anyone NOT like Green Eggs and Ham? I know these costumes would be a huge hit around my house. Check out Dana’s instructions for these ensembles and more over at Dana Made It. Want to encourage your child to eat their vegetables? Dress them up as one! 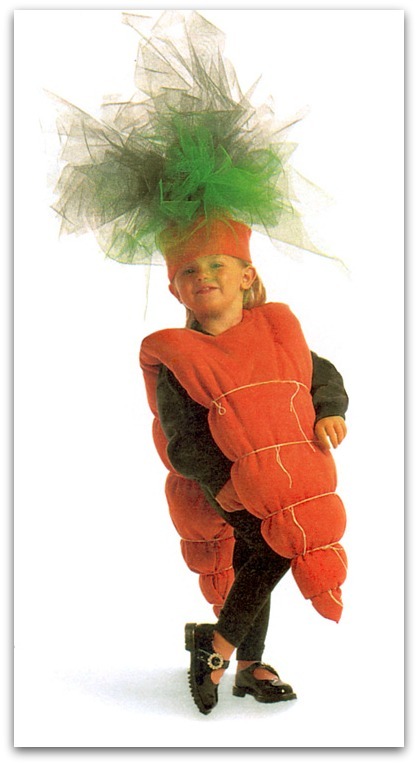 This carrot costume would also be great for a nutrition day at school. 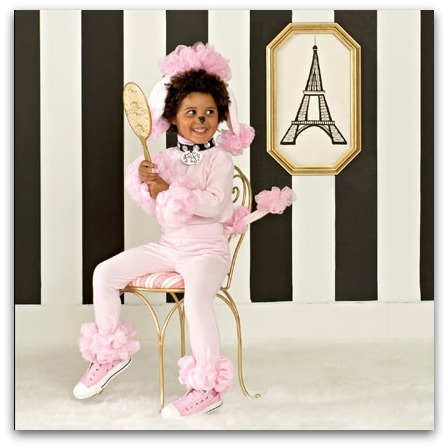 My daughter loves cute little dogs – this poodle costume would be right up her alley. 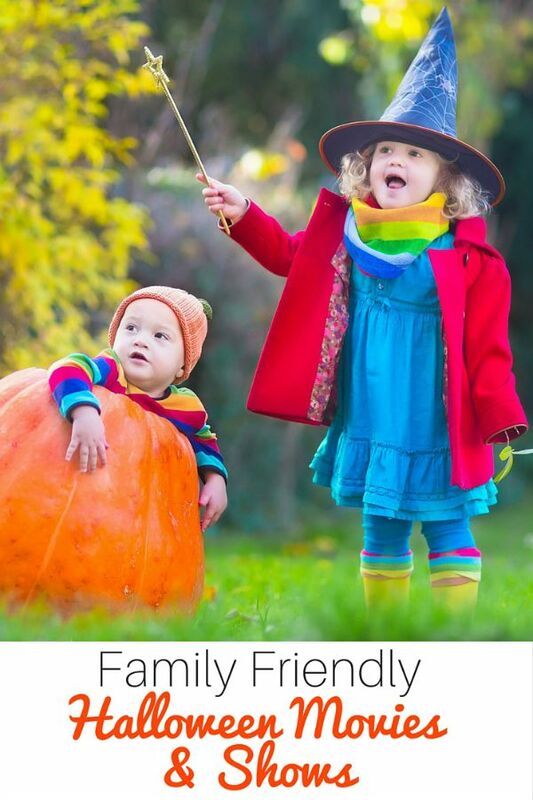 Visit Family Fun for all the details. Here’s Ashley again with another amazing costume. 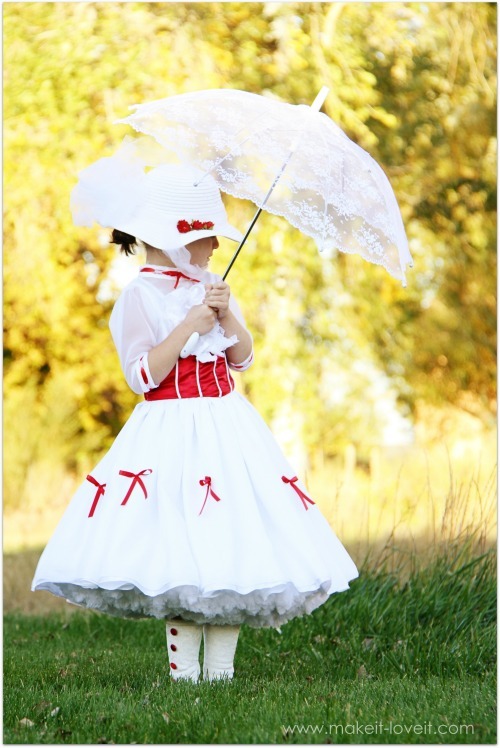 I love Mary Poppins and this costume is downright beautiful. I’m a child of the 80’s, so Princess Leia is near and dear to my heart. Watch the movie with your little ones, then put your outfit together for your own princess. 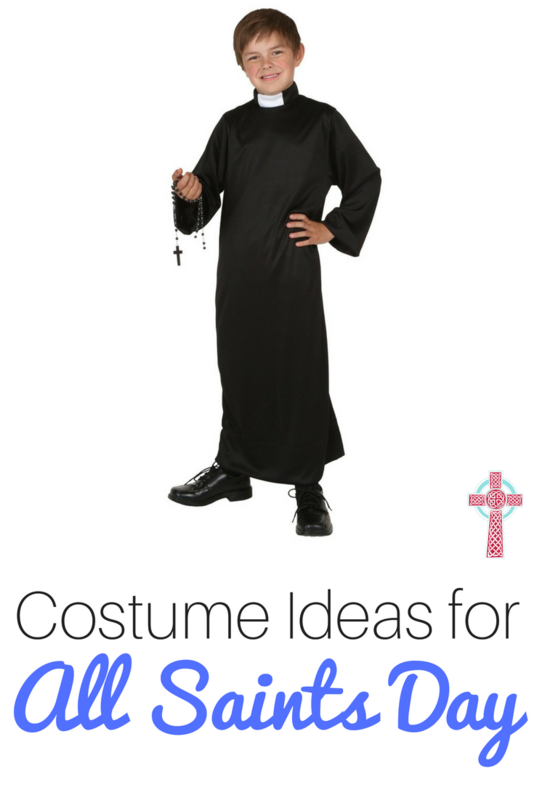 Have a child who refuses to wear a costume? 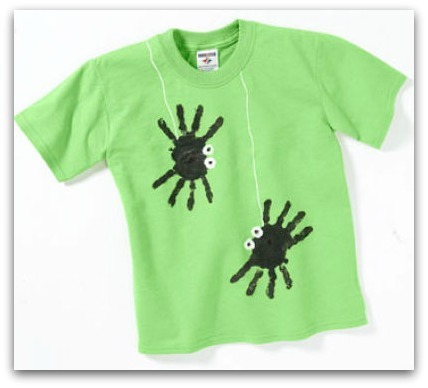 Need a quick Halloween themed shirt for a party or meeting at school? These directions from Micheal’s are simple. You could make one in a rainbow of colors, for the whole family. 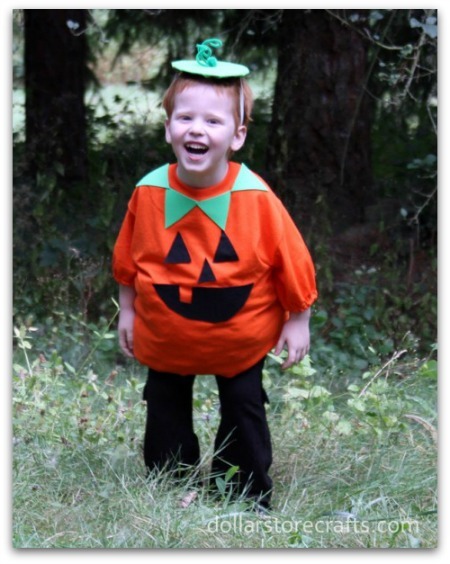 Are you heading to the pumpkin patch with your littles this season? 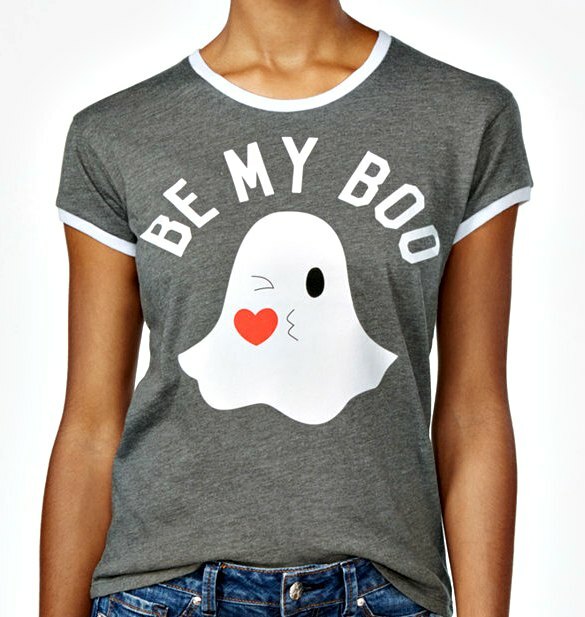 You totally need a Halloween themed shirt to wear. This one made me giggle — I’ll be wearing it for our trick or treating adventures. 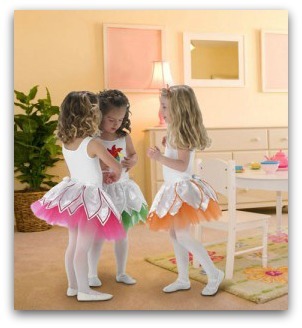 Has your daughter read Angelina Ballerina lately or started her very own dance lessons? Make a prima ballerina outfit with this tutorial from Totally Stitchin. Looking for an easy no-sew solution? Grab a tiara, a tutu, a leotard, along with leggings, and you’re all set! 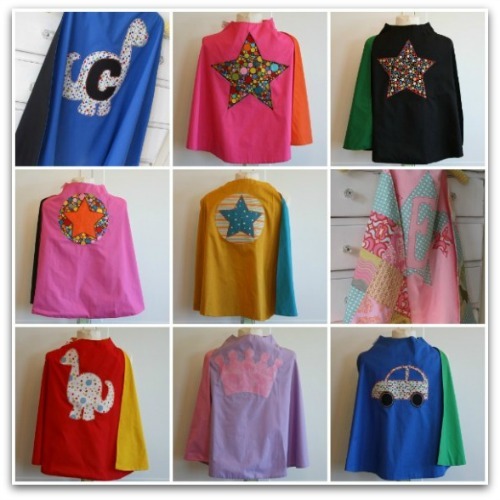 With a Super Hero Shield from Art School Dropout combined with a cape from Pleated Poppy, everyone in your house can be a super hero. This is another one I’m going to request from my grandmother for my children for Christmas. They love to play dress up all year long. 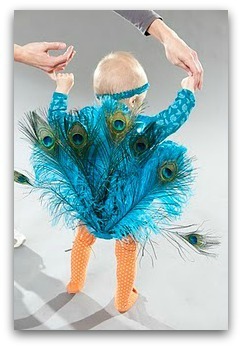 I seriously squealed out loud when I saw this baby costume. The cool chicks over at DIY Divas created a bank robbery costume, complete with adorable bags of money. 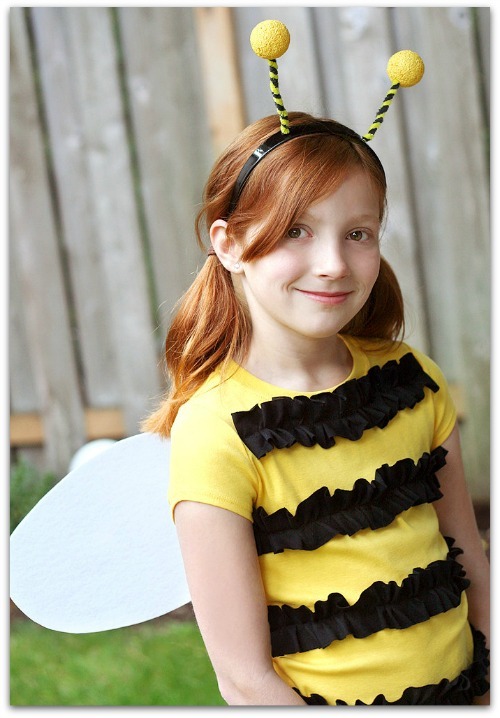 Little flowers will love this bumblebee costume from the folks over at Fiskars. Add a black tutu to your yellow top, and you’re done! I’ll be honest – I love this costume for myself. It would be easy – and I LOVE the bright tutu. 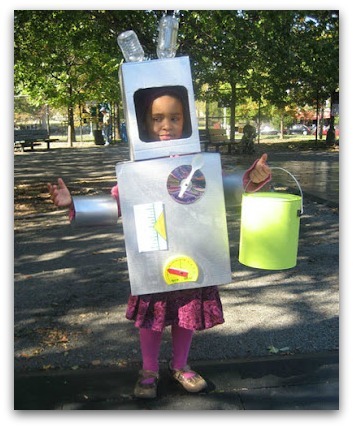 Any child would love this upcycled robot costume. 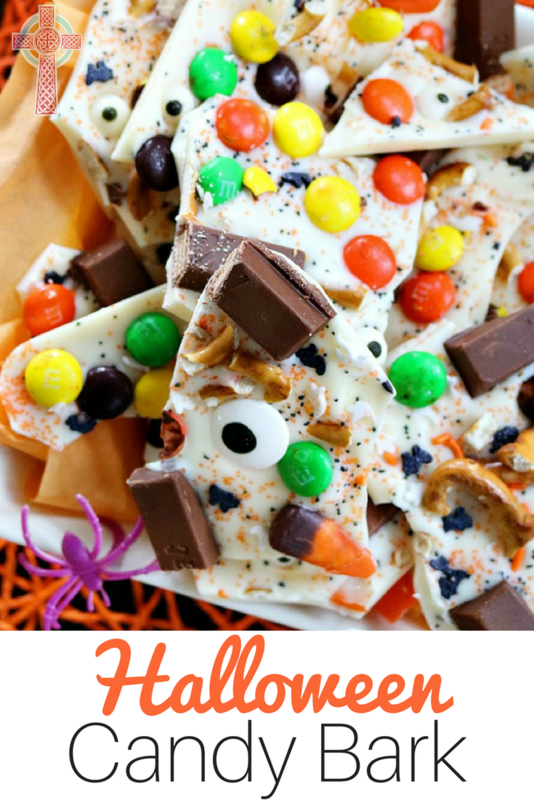 Check out Replay Ground for details on how to make your own. 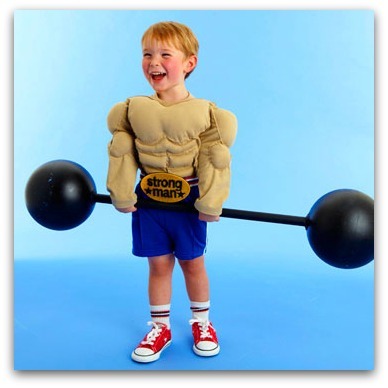 Let your little guy show off his muscles in this strong man costume. It’s sure to delight your future weightlifters. One great reason for a DIY costume is to help save costs. Head to Dollar Store Crafts for directions for this frugal jack o lantern – perfect for either gender, and easy on your wallet. I’m severely limited in my crafting skills, but I might be tempted to pick up some scissors and try this unique costume. 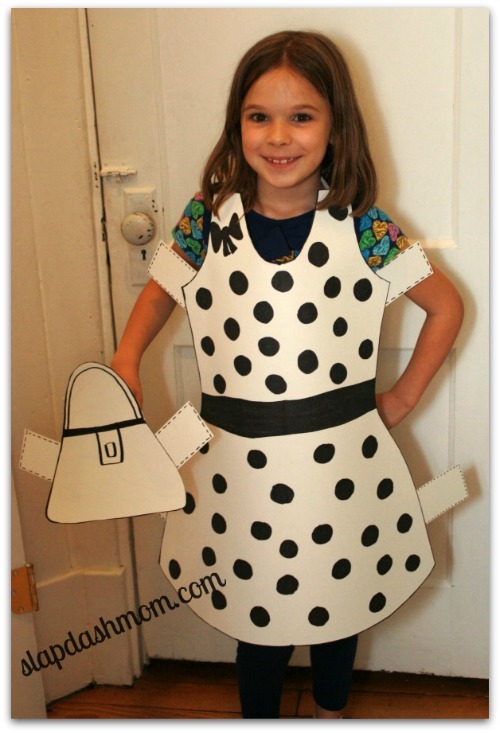 Rachel would love this Paper Doll ensemble. 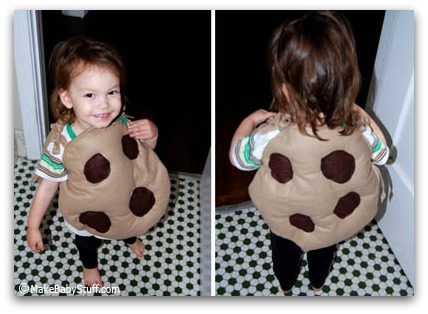 Snickerdoodles are my favorite, but this sweet chocolate chip cookie would be hard to resist. Check out the delectable design over at Make Baby Stuff. 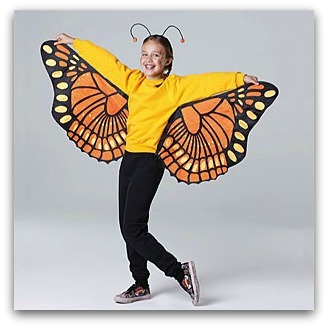 Let your little one flit from house to house trick or treating as a butterfly from All You magazine. Have a Macy’s gift card? 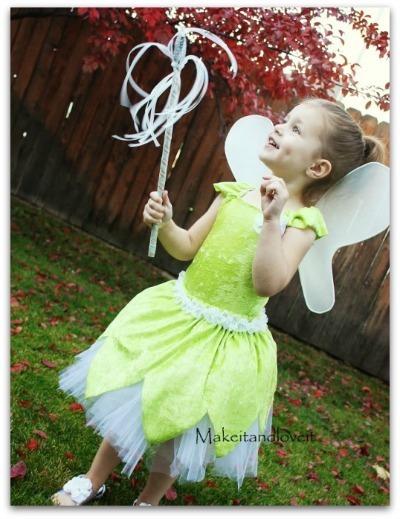 I spied an adorable butterfly costume there — perfect for sweet little toddler sisters! So easy, I could even do this. Grab a pink turtleneck, pink leggings, then whip up a nose and ear with these directions from Real Simple. Just my style of crafting. 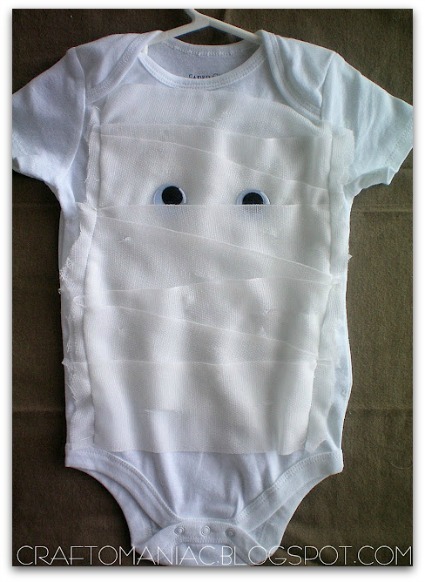 Wrap your tiny one up as a mummy baby — these instructions from Eighteen 25 are a piece of cake! 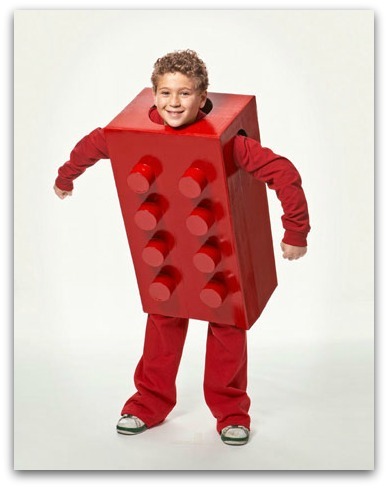 Legos are awful when you step on them, but they’re mighty fun when they show up on your doorsteps requesting candy! 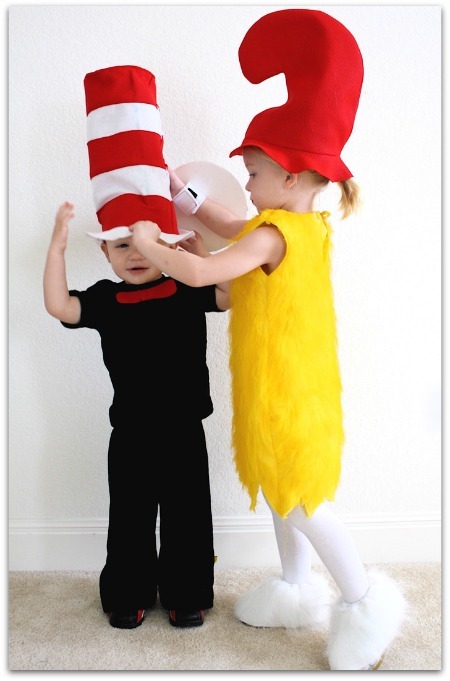 This would be another fun family costume – imagine these in different colors. 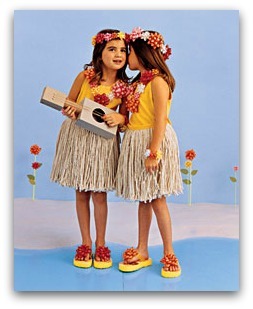 This quick and easy hula girl costume is sure to delight any little girl. Find the tutorial over on Martha Stewart. I love detailed, yet simple directions. 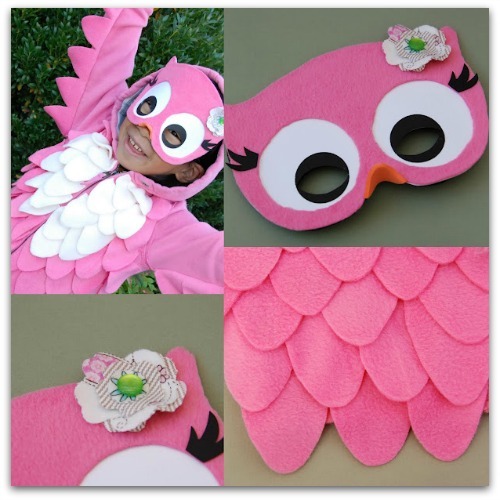 This tutorial for a girly owl over at Pure Joy Events is perfect. I think I might even be able to pull this one off with some glue or Wonder Under. 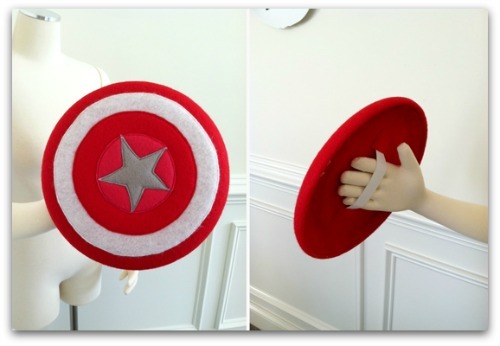 You could easily modify this for a boy with grey, black or brown felt. 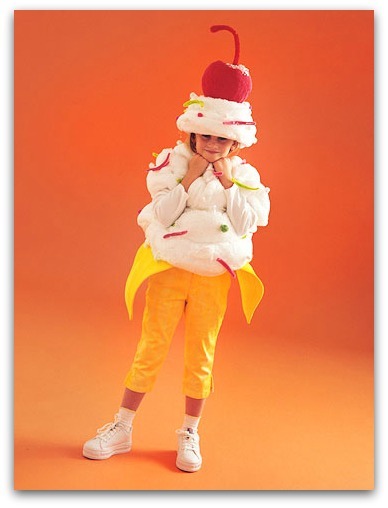 Don’t miss this delicious banana split costume over at Better Homes and Gardens. It looks good enough to eat! 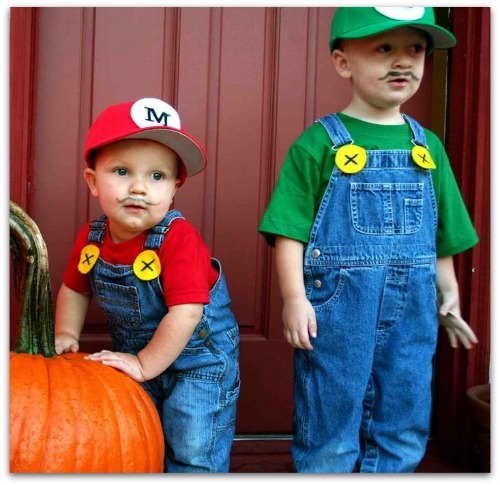 My boys have matching denim overalls already, so this DIY idea would be easy for us. Check out Instructables for all the details. Don’t forget to take lots of pictures of your little one – dress them up and create your very own Halloween photo book to share. Blurb has the tools to make it happen. What DIY costume would you choose? Do you have a favorite that I missed? Be sure and leave a comment to share! Fabulous Forty!! Fabulous series!! I love the Lego block-and know a little boy that might just need one. Pinning & sharing! I think you need an entire Lego Family. How darn cute would that be! Lucy just told me tonight she wanted to be a shooting star! I think I can handle that! And I’m so proud of her for coming up with a cool idea. Oh my goodness these costumes are adorable. It is too hard to pick just one as a favorite. Your costumes are adorable! 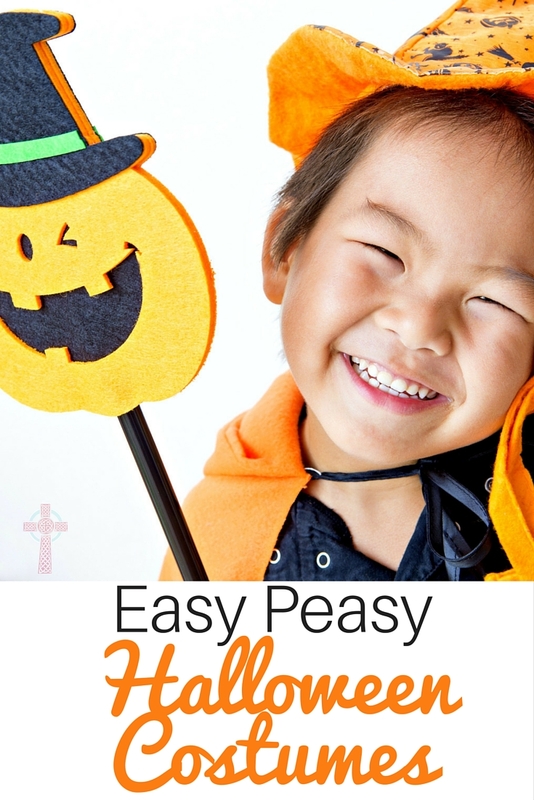 I’m linking to this post tomorrow as part of a round-up of simple costumes. WOW great list you put together! makes me wish me kids were younger. 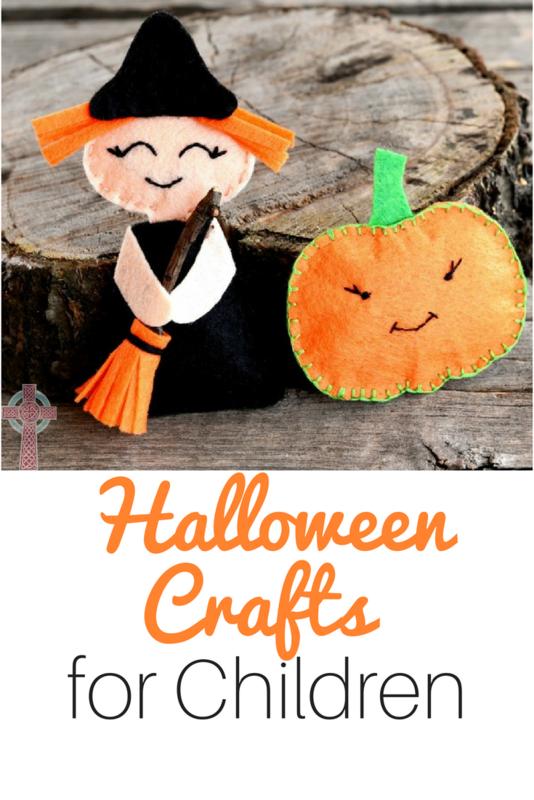 I’d love making some of these, even though I can’t really sew…maybe I could cheat! Love that fusible web.